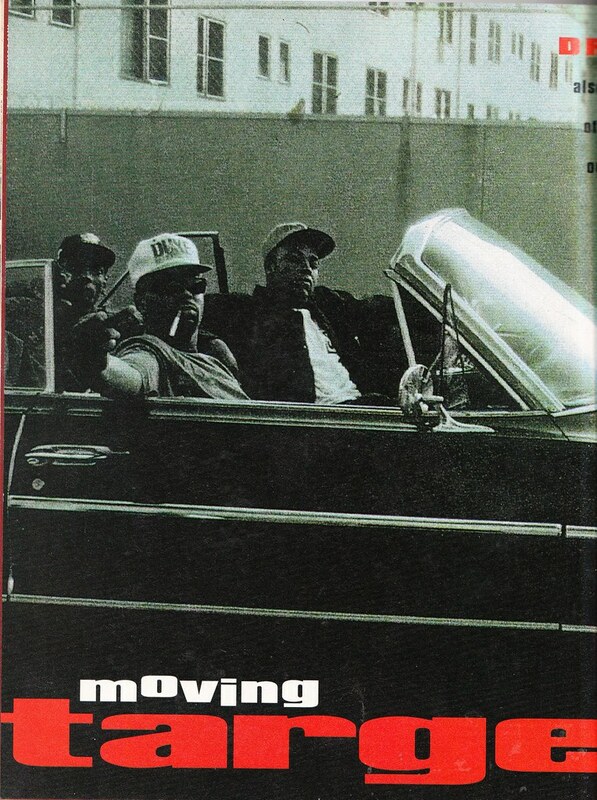 Continuing this week to show you scans of old rap/hip hop magazines featuring the members of NWA. 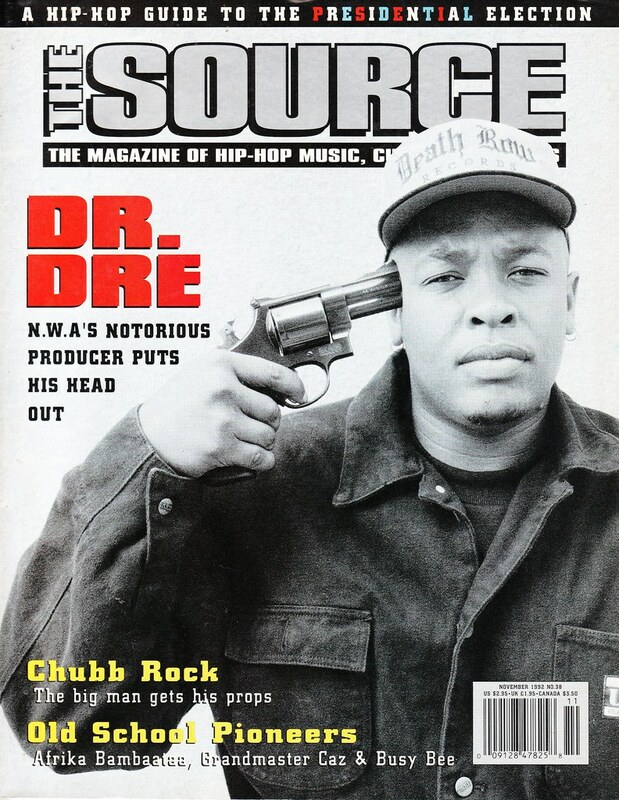 Today we are looking at the November 1992 issue of The Source magazine. 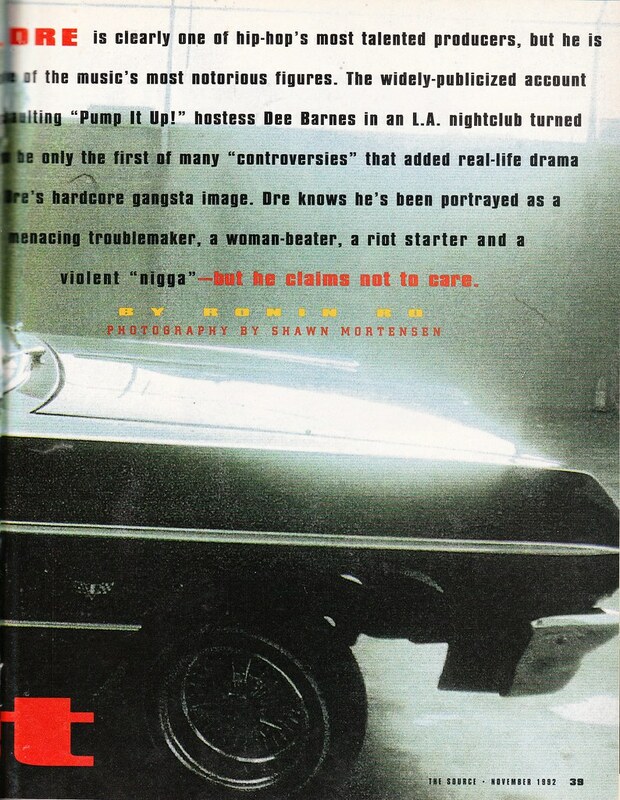 The magazine featured an in depth cover interview with Dr Dre promoting the upcoming release of his solo debut, The Chronic, on Death Row Records. 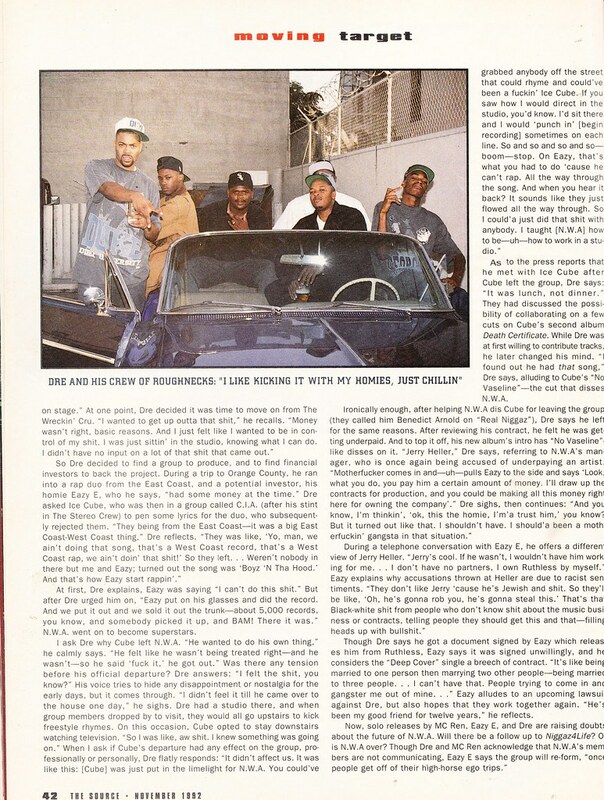 Dre talks about a lot of things in the article including his new album, the break up with NWA, his beef with Eazy-E and his brand new record label. 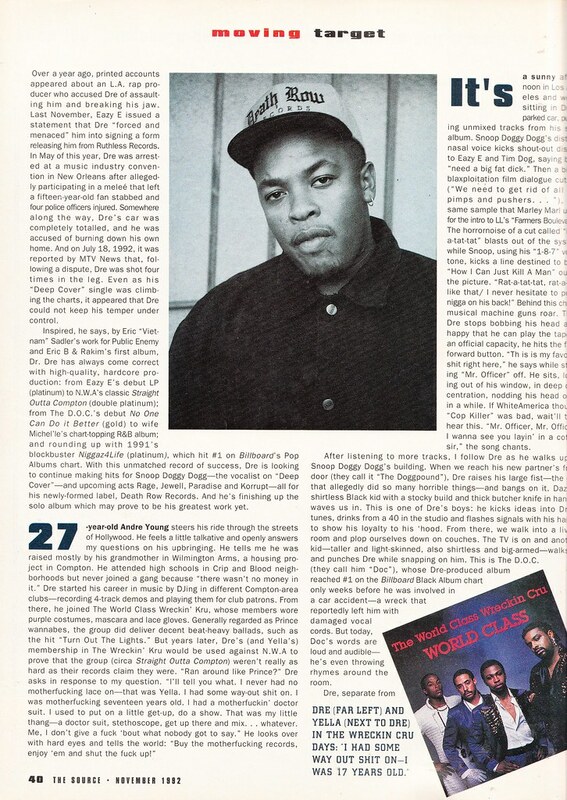 Very interesting look into the head space of one Andre Young right before he’d change the face of rap with that aforementioned solo album. 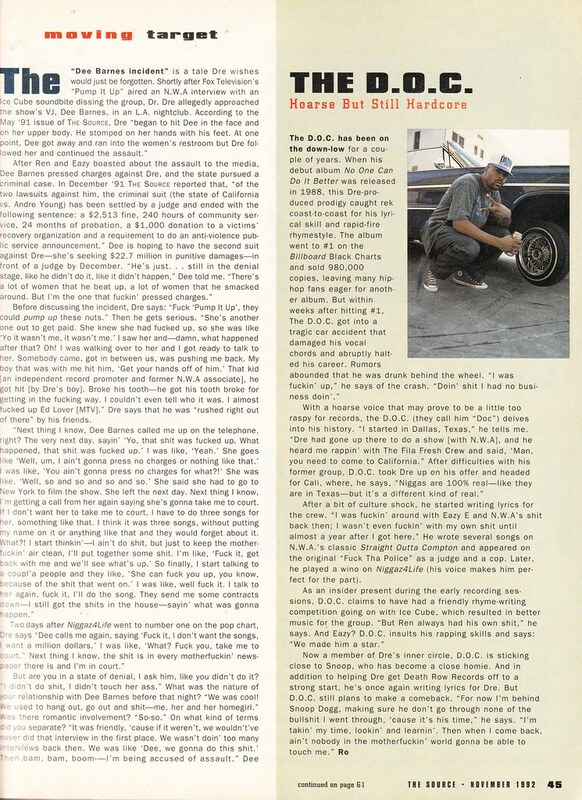 He even gets candid about the “Dee Barnes” incident (mentioned in yesterday’s Rap Masters magazine scan), his buddy DOC’s car wreck and The World Class Wreckin’ Cru. It’s a good read. The article also has two sidebars, both interviews. One is with DOC and the other is with Snoop Dogg who very recently made his debut on Dr Dre’s song Deep Cover and will soon come into prominence due to his heavy appearance on The Chronic. 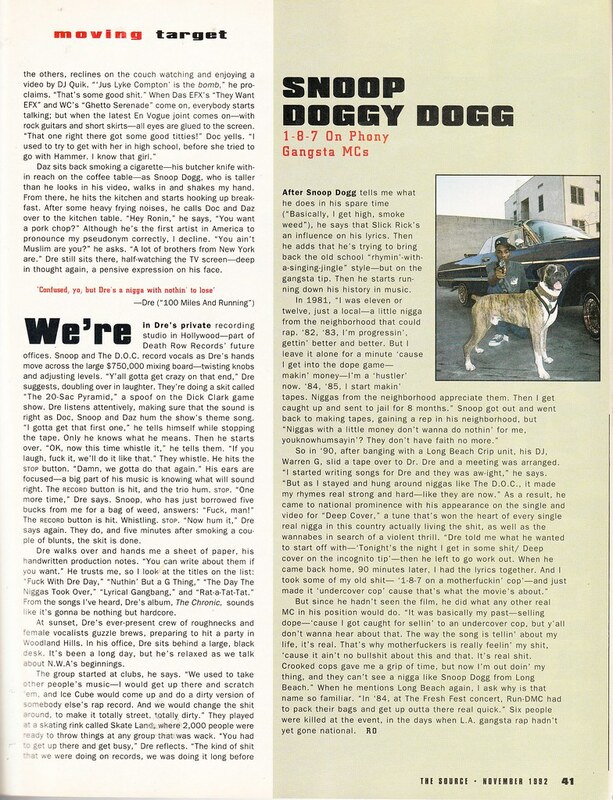 This entry was posted on April 20, 2016 at 7:00 am and is filed under music, nostalgia, pop culture, rap with tags music, nostalgia, NWA, pop culture, rap. You can follow any responses to this entry through the RSS 2.0 feed. You can skip to the end and leave a response. Pinging is currently not allowed.